UN, April 6. /TASS/. 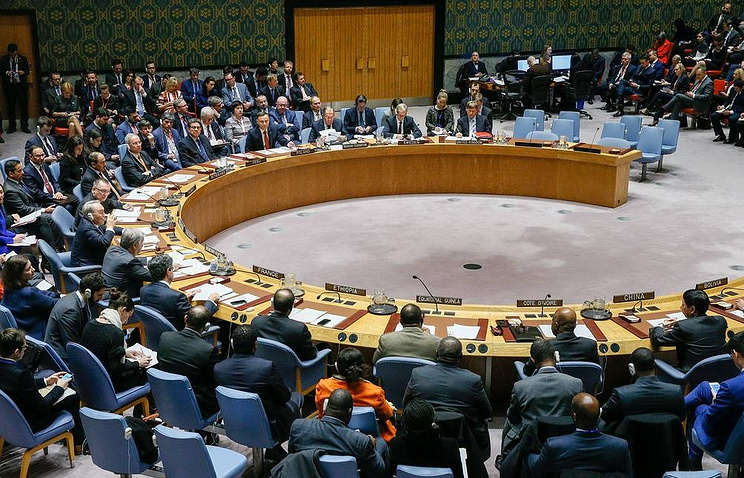 The UN Security Council urged the Libyan National Army (LNA), loyal to Field Marshal Khalifa Haftar and the interim Cabinet of Abdullah Al-Thani, to avoid military confrontation, according to a statement read out after an emergency UN Security Council meeting on Friday. The text of the statement was read out to the media by Germany’s UN envoy, Christoph Heusgen, whose country holds the rotating Security Council presidency in April. “Members of the UN Security Council express deep concern at the military activity in Tripoli, which risks Libyan stability and prospects for UN mediation,” Heusgen said. Members of the council also expressed their full support to the reconciliation effort in Libya by UN Secretary General Antonio Guterres and his special envoy to the country, Ghassan Salame. “They reiterated their full support for the Secretary General and his special representative and called on all parties to resume dialogue and to deliver on their commitments to engage constructively within the UN,” Heusgen said. The UN Security Council meeting, which gathered on Friday evening at the United Kingdom’s initiative, lasted more than two hours. UN special envoy to Libya, Ghassan Salame, delivered his report to Security Council members via a video linkup. Hey Buddy!, I found this information for you: "UN Security Council urges Libyan military to avoid confrontation". Here is the website link: https://russophile.org/un-security-council-urges-libyan-military-to-avoid-confrontation/. Thank you.